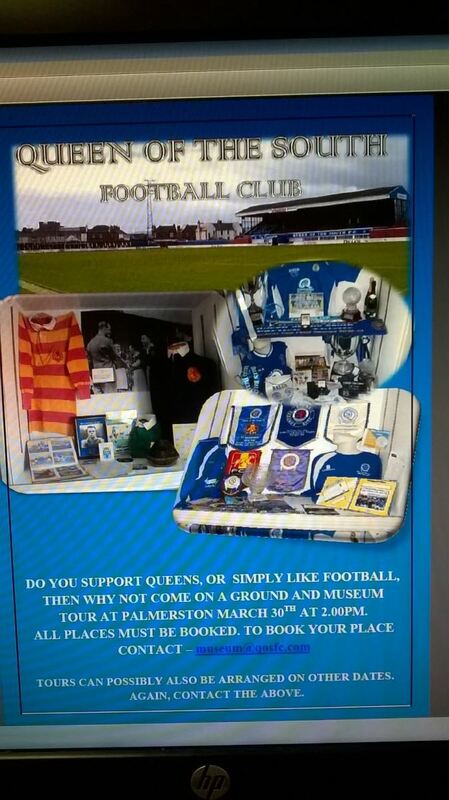 Iain McCartney and the SLO Committee recently held their first museum and stadium tour at Palmerston. It proved popular and the organisers have had some very positive feedback from those who took part. They are keen to make the tours a regular event in the Queen of the South calendar and have set the date for the next one. It will take place on Friday the 30th of March at 2pm. It's hoped many of you will take advantage of the Easter Bank Holiday and join in the tour.